Grilled Cheese Tuesdays - It's On! 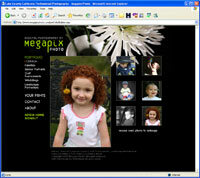 Rene Lopez of Megapix Photo needed a web site which presented her work to potential clients, while selling current photos to clients for weddings, golf tournaments, and other events. Many of the events which Rene shoots are popular events which draw a large number of out of town people who are interested in purchasing their photos after the event. 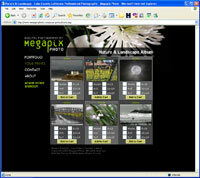 Because of this, a strong web presence was essential to the fulfillment of Megapix Photo's business goals. BitSculptor's custom photo purchasing application allows customers to pay using credit card, Paypal, or check/money order using a simple interface. As a site administrator, Rene or anyone on her staff can manage albums and upload photos to her online store using our simple, secure online OAF tools interface. BitSculptor has completed the development of the Konocti Realty web site, located at konoctirealty.com. Since Konocti Realty is a family-owned company that has been successfully selling real estate in Lake County for over 40 years, BitSculptor worked closesly with Owner/Broker Stacey Mattina to ensure that the site's branding and message were consisten with the strong brand already in place for Konocti Realty. The site was designed using the colors and playful feel of the Konocti Realty logo, creating a cohesive and professional look and feel across the entire site. BitSculptor developed custom site management tools which allow Konocti Realty staff to update their blog, email lists, agent profiles, and various site pages through a simple, secure, browser-based interface. The site also includes BitSculptor's powerful Lake County MLS search tools, allowing visitors to easily search the Lake County MLS. Visitors can also create a myKonocti account and save favorite MLS listings and searches to their profile for later retrieval. Visitors can also subscribe to receive an email update whenever a new listing is added to the MLS which mathces their search criteria. Bitsculptor recently completed the development of the Bass is Loaded Mobile DJ site at http://www.bassisloadeddj.com/. The site was designed to the client's specifications which included using the trademark basepath and colors of the logo throughout the site as well as icons in the navigation to illustrate what users can expect to find in that particular area. All of the pages on the site are edited by the client using secure backend administration tools developed by Bitsculptor. In addition to the new design and backend tool development, Bitsculptor also provided Search Engine Optimization for the site. This included researching keywords and implementing them throughout the site. 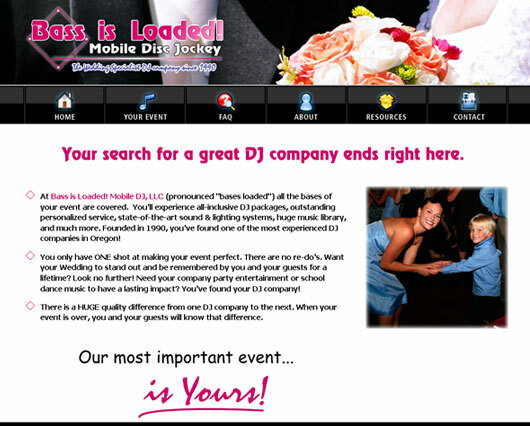 The client, Oregon wedding DJ specialist, Rick Whitehead, has already seen his search engine ranking climb to the top ten in the short time his new site has been up. 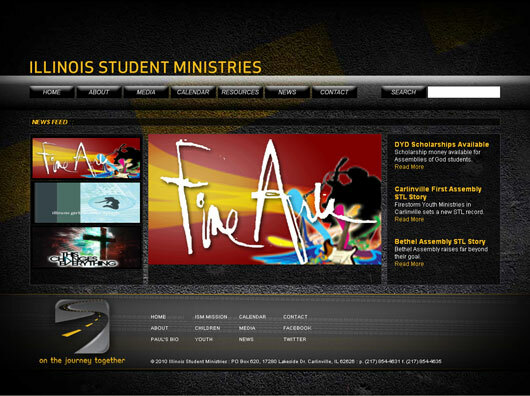 We launched the new web site for the Illinois Student Ministries last week. This site was designed by a designer working for the ISM and was then contracted out to BitSculptor to build the XHTML shell and do the backend programming. The backend toolset includes news, events, links, photos and video and more. The site can be viewed at www.ilsmonline.com. 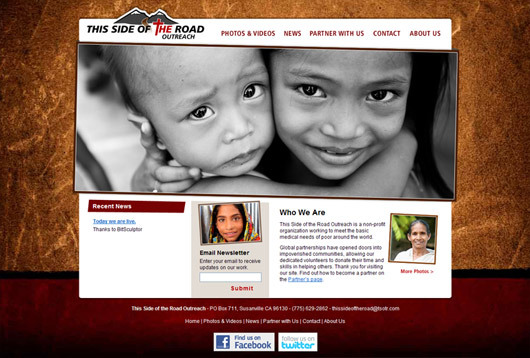 We recently developed and launched a brand and website for This Side of the Road, a non-profit organization working to meet the basic medical needs of poor around the world. BitSculptor handled the entire project, from logo and site design to site programming and launch. This site is a perfect example of how modern web technologies allow us to integrate best of breed services with client websites in a seamless manner, providing a cohesive experience for the site user while giving maximum power to the site owner, all at a low cost. TSOTR.com integrates powerfully with Flickr.com and Vimeo, making it easy for TSOTR staff to update the site's Photo and Video archives from the field. Email list tools are powered by MailChimp, allowing for seamless integration and powerful email newsletter capabilities at a very low cost (free).